One of my perfume resolutions for 2014 was to explore perfume houses that aren’t as well-known, and to pass wider afield of the usual mainstay niche brands. Odin New York isn’t new, but it is much less well-known than the Le Labos and L’Artisans of our little world. The company is a hip, edgy men’s fashion retailer in New York who branched out into unisex fragrances in 2009. Each fragrance comes with a name and a number, like 04 Petrana, 08 Seylon, or 10 Roam. I sniffed much of the line while in Paris, noticing that the fragrances seemed to get consecutively darker or more oriental as the numbers grew higher. Still, they were all too sheer, light, and insubstantial for my tastes. In addition, I was unimpressed with their concept of an “Oriental,” and didn’t find any of the scents to be particularly interesting. They felt rather pedestrian, lacking oomph, distinctiveness, and soul. However, when I heard that Odin New York had released a new perfume that was centered around tobacco, I decided to keep an open mind. After all, it was number 11, so, at the very least, it should finally be dark and rich enough, right? Not exactly. SEMMA is a collection of notes from distant lands veiled in mystery. A vibrant composition bended in discoveries of sweet tobacco leaf and warm myrrh. Core spices of cinnamon bark and herbaceous clove intertwine within the brightness of fresh chili pepper. Aged sandalwood and powdery tonka bean uncover a buoyancy both familiar and enduring. 11 Semma (or “Semma“) opens on my skin with a puzzling but very distinctive aroma of fresh citruses that resemble bergamot. There is no such note listed in the olfactory pyramid, but I smelled subtle elements of citrus for a good 40 minutes on my skin. It is followed by a delicate carnation note, but within seconds, a fiery burst of chili pepper arrives on the scene. 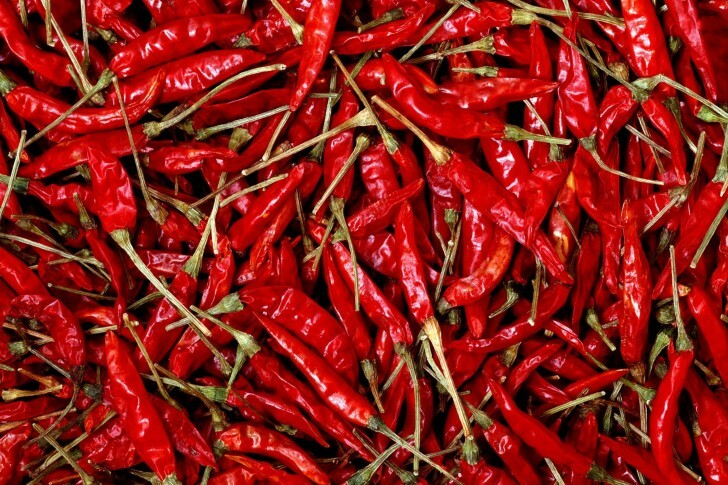 Piquant, peppered, spicy, and fierce, the chili infuses every part of the crisp bergamot and sweet carnation. Hints of smoky myrrh, dried tobacco, and a whisper of cinnamon follow, but everything is subsumed under the dancing peppers. The spices and sweetness melt into the vague woodiness upon which the fragrance is based, suffusing it with some of the undertones of sandalwood, though it never feels like the real wood to me. I like how the chili adds a bite to the carnation, which felt almost rose-like in its sweetness until the fiery pepper transformed it. As a whole, Semma’s opening bouquet is of a highly spiced, peppered, biting carnation-rose mixed with juicy, ripe bergamot, dry tobacco, and a touch of smoke. Kephalis is a very versatile and rich product, used as a long lasting heart/basic note. It blends well with floral notes (jasmine, rose, violet, lavender, etc.) as well as sophisticated amber, woody-aldehydic, tobacco and masculine creations. Whether Semma has Kephalis or actual ISO E Super, it is initially only a brief whiff of something peppered, and serves to amplify the fiery bite of the chili note. 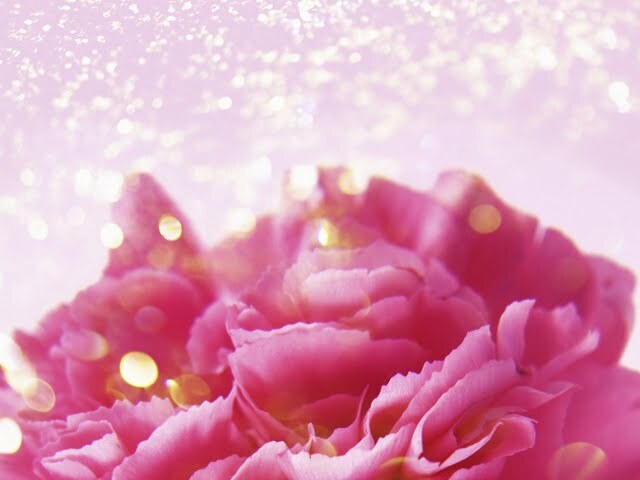 It also helps to offset the growing sweetness of the carnation note. There is something about the floral accord that my nose keeps translating as a jammy rose aroma, but thanks to the other elements, it is never cloying or excessive. Ten minutes in, the synthetic tobacco aroma grows stronger, along with the cinnamon and a touch of smokiness. The chili pepper is very authentic in feel, right down to the burning whiff of capsaicin that you’d get if you bit into a Habanero pepper. 11 Semma really seems to have three distinct stages. For the first 40 minutes, it is entirely fiery chili peppers with jammy, sweet, fruited carnation, followed by dry tobacco, cinnamon, and a touch of myrrh, all infused with an increasingly sharp, aggressive, peppered ISO E Super or Kephalis aromachemical. Semma is an airy, sheer, insubstantial cloud that wafts 3 inches above the skin. It may not have much heft or weight, but it is extremely strong when sniffed up close. Unfortunately, within 30 minutes, the notes become more and more indistinct, apart from the chili, and the perfume feels utterly bland except for that one element of fieriness. There is nothing terribly wrong with it (except for the aromachemicals that really hurt my nose), but it just feels so damn pedestrian. It doesn’t feel rich, luxurious, deep, or complex. It is merely… there. At the end of the first hour, the second and main stage begins when the ISO E Super/Kephalis takes over, and transforms the scent into a scratchy, super dry, prickly, jangling tobacco synthetic. There are fading hints of chili pepper capsaicin, and an increasingly abstract, amorphous, sweet floral element, but both are muted, and recede further to the edges as time goes by. In the base, Semma’s extreme dryness and generic woodiness are lightly flecked by powdered cinnamon and vanilla, but neither note is enough to add much warmth or softness to the dry scent. Semma remains this way for the next few hours, with all the notes becoming hazier and less distinct except for the arid tobacco aromachemical. At the end of the 3rd hour, the sillage drops, and Semma hovers right above the skin. The final stage begins shortly after the start of the 6th hour. Semma has devolved into a generic, dry, tobacco woody blur, infused with cinnamon and vanilla. The drydown is nice, relative to the sharpness of the opening, though I admit my feelings are influenced by the fact that the bloody aromachemicals have finally dulled and retreated to the sidelines. The growing presence of the vanilla helps make the scent softer, and cozier. Now, Semma is merely an amorphous, fuzzy haze of dryness, sweetness, and woodiness. 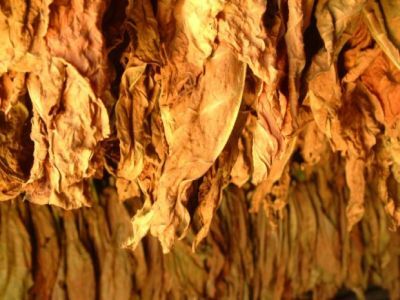 The tobacco is still the most distinctive element in a distinct, individual way, but it finally feels much more muted and hazy as well. In its final moments, Semma is a nebulous, generic woody sweetness. There are suggestions of vanilla and a dry spice, but it’s subtle. To my surprise, the fragrance never really demonstrated the “powdery elements” referenced in Odin’s description or in Fragrantica‘s entry. All in all, Semma lasted just under 10.5 hours on my skin. It wasn’t a sillage monster, and projected about 3 inches at most in its opening hour. However, the aromachemicals make it extremely potent when sniffed up close. As a whole, Semma had moderate sillage that became soft at the start of the 4th hour. It took about 6 hours for Semma to become a true skin scent. As you might have guessed by now, I didn’t think much of 11 Semma. Even if we put aside the excessive aromachemicals, the fragrance simply wasn’t all that interesting. Another abstract, dry, woody fragrance led primarily by a synthetic, arid tobacco… how novel. I do give kudos for the use of chili pepper, despite it being chemical as hell, because at least it added some whimsy. But a whiff of Habanero-pepper capsaicin isn’t enough to rescue the pedestrian, familiar character of Semma. Plus, it’s so thin in its simplicity! If there were some added richness, like a deep amber heart, oodles of labdanum nuttiness, creamy vanilla, substantial smoke, a tinge of leather, or even some molten warmth, then maybe Semma would feel more luxurious. At $165 or €140 a bottle, I’d like something other than generic tobacco dryness with aromachemicals and a whiff of vanilla-cinnamon. When I first put it on, I was disarmed by the vegetal aroma of a fresh, snappy pepper, assertively making a statement before the spice notes try to stomp it down. Like an unexpected giggle, this pepper note pops up here and there even when you think it is gone. Myrrh, cinnamon, and clove are some of my favorite perfume notes this time of year, but without this fresh, almost humorous blast of chili up top and weaving its way in and out, Semma wouldn’t be as interesting. As the perfume wears, the blend of notes creates a haze of autumn around your body. The perfume takes on that “favorite old sweater” quality, comfortable and warm. It is familiar, yet unique enough to be a welcome addition to the cool-weather wardrobe. It has some sweetness from the myrhh and tonka, but it is balanced by the woods and tobacco. The drydown is lovely, and longevity is also quite good. All in all, this is a pleasure from beginning to end. There are no reviews for Semma at this time in either its Fragrantica or Basenotes entries. I must say, I’m glad, as that means I don’t have to talk about it further. Life is too short for such mediocrity. Cost & Availability: Semma is an eau de parfum that comes in a 100 ml/3.4 oz size and costs $165 or €140. In the U.S.: you can purchase Semma directly from Odin New York, which offers free domestic shipping, but does not ship world-wide. The fragrance is also available at Barney’s, Fellow Barber, and at numerous brick-and-mortar stores throughout America. You can find a list of shops from Wisconsin to Texas at Odin US Stockist page. Outside the U.S.: I had difficulty finding online retailers for both Odin in general and 11 Semma in specific. Those sites which do carry Odin often only offer about 6-8 of the line. I found no Canadian vendors. In the UK, I’ve read that Odin is carried in Liberty London, but the site shows no products under the Odin entry. In Paris, 11 Semma is already available at Colette where it is priced at €140. Odin fragrances are also carried at Sens Unique in the Marais district of the 4ieme arr., but it does not have an e-Store, unfortunately. I do remember from my visit to Sens Unique in September that they have all the Odins on the market. Elsewhere in France, Odin is carried by Premiere Avenue, but not 11 Semma. Your best bet would be to use the Odin EU and Odin Asia stockist links to find a vendor near you. Samples: I obtained my sample from Surrender to Chance which sells Semma starting at $4.99 for a 1 ml vial.